It is NATIONAL INTERCOLLEGIATE BAND time! At least audition time. Some of you reading this article will say you aren’t good enough. Remember you can’t make it if you don’t TRY! You have to at least send in an audition to have a chance. Some of you WILL audition! Which I hope after this article many of you will reach out of your comfort zone and send in an audition recording. And then there are those of you who are ALUMNI of past National Intercollegiate Bands! That is the best!! Talking about different memories, working with different composers and conductors, and performing for an audience filled with musicians. What an amazing experience! 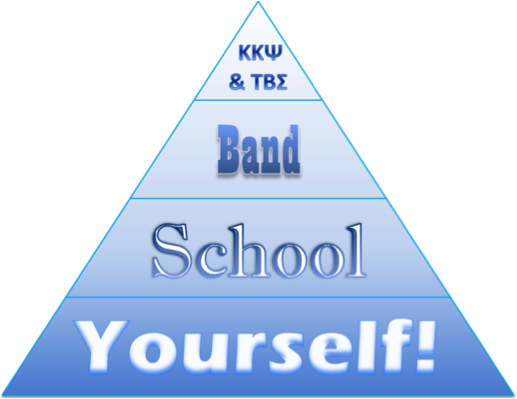 Personally I was a member of two National Intercollegiate Bands as a college student, I had the unique opportunity to be the Tau Beta Sigma NIB coordinator for three conventions, I have been a member of the Board of Trustees for three other bands, and I was a National Officer for two bands. Over the years, one thing has never changed- the best part of the band is the first note. The first time all the members sit together and start working together. Nothing is better! There is a huge rush the goes over the entire room and a huge WOW that happens throughout the band! I want to encourage each of you to join me and audition, attend the concert, share our commissions with the music world, and make a financial contribution to continue the legacy of the National Intercollegiate Band. Let’s work to endow the NIB so we continue the opportunity for outstanding college students to be a part of a fantastic music ensemble. It will endow the opportunity for our Sorority and Fraternity to share new music through our commission program. What a great service we offer through this program. Not only do we share a beautiful evening of music, we share the music nationwide. Imagine in the future, your child being a part of the National Intercollegiate Band and having the opportunity just like you! Believe me, it will happen. Stan Finck was an amazing gentleman I had the privilege to know who loved the National Intercollegiate Band, Tau Beta Sigma, and Kappa Kappa Psi. Join me and audition, attend the concert, share our commissions with the music world, and make a financial contribution to continue the legacy of the National Intercollegiate Band. It’s THAT TIME – NATIONAL INTERCOLLEGIATE BAND TIME! 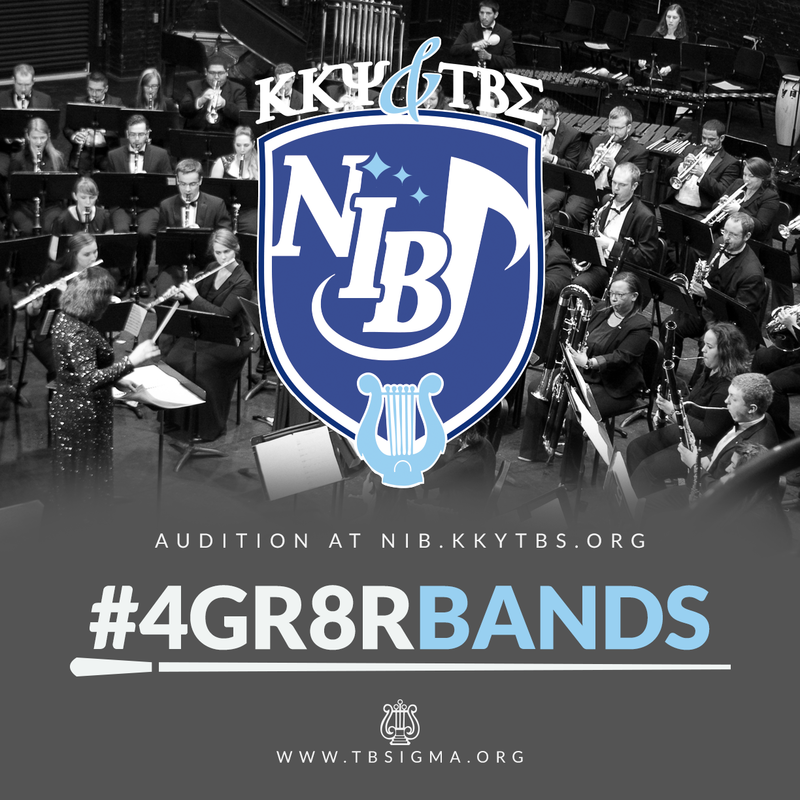 AUDITION TODAY at nib.kkytbs.org .